I have heard it said that there is a difference between “inspiration” and “transformation”. What I was experiencing post divorce on the seas to Ithaca was much more significant than any other stage of my life’s trek. I could not get enough of God. I continued to read, study, and explore the nooks and crannies of the Bible. I bought books, signed up for Bible Studies online, and devoured everything they had to say. I watched the online videos over and over taking notes and writing in my journal. I continued daily morning prayer. My eyes were opening to a whole new realm. I was awake and could see where God was working all around me. It was like I was plugged into a parallel universe that had always been there but of which I had been previously unaware. Although my counseling had uncovered flaws that I needed to straighten out, God was showing me a deeper level of things that needed changing. It seemed that as I studied the intricacies of His world, He was at the same time shining a light right back on the deepest parts of me. I began to realize that even if I previously considered myself a “good person” that wasn’t where God wanted me. He had higher aspirations for my life. Father A in Arizona had given me an assignment for both repentance and healing, to start a women’s bible study at my Greek Orthodox church in Iowa. I eagerly did so. The first week there were many who showed up, and then it dwindled down to only a few. Ultimately they chose to change it to a “discussion” group. I dropped out of the group and went back to my own study. My path was getting lonelier, as my transformation continued. I was so energized by my studies, my prayer time, the bible and my faith, I sometimes felt I was living in a foreign country where nobody understood me. This went on for months. Over time, a new feeling crept in. I was feeling the most incredible, inexplicable joy but also an emptiness that was hard to understand. My life was good, my children were doing well, my work was flourishing and I was by all accounts “happy”. Because I sensed the source of the new feelings stemmed from something spiritual, I went to Arizona to ask Father A to help me figure it out. In the middle of that sacrament in the church in Arizona, in response to that question, out of nowhere, came the name “Alicia”. A protestant woman in Iowa, Alicia was someone I had known because her husband was Greek. I had not seen or thought about her in years but at that moment she was the woman God put into my mind. “Go back to Iowa and call Alicia”, Father A advised. “Of course, I look forward to it”, she responded and we made a date for coffee. When I arrived at Panera Bread a few weeks later, Alicia hugged me warmly and I immediately felt a connection. We took our lattes and sat at a booth where for the next hour I told her the specifics of what had happened in my relationship and ultimate divorce from FP. I found myself teary, a surprise since I thought I was beyond that stage. I decided the reason I still cried was because my marriage MATTERED. 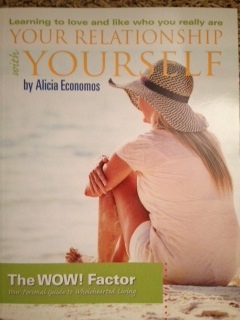 Alicia listened intently, grabbed both of my hands and then said “Kim I have written three books and developed a course for women with heart wounds. I have been praying to God to bring me the women that would benefit from this course. I can’t help but think you are one of the answers to that prayer”. I was flabbergasted. Could it be, that in my growing relationship with God, he had actually steered me from a chapel in Arizona to a woman in Iowa that would have more to show me? Hadn’t I already learned enough? Of course now I’ve come to realize that when you begin on a spiritual course, if your heart is open, the depths of what God provides and reveals is endless. He constantly amazes. The most important thing Alicia did that day was to validate my feelings. She looked deeply into my eyes and told me she understood how devastating things had been. She didn’t try to minimize my wounds or convince me to “look at the bright side”. That day, through her skillful listening and validating, Alicia had given me space to turn yet another corner. I had been joking with my closest friends that I wanted the onion to stop peeling, but God apparently disagreed. Alicia was the person He brought into my life to be my guide on the next chapter. We made arrangements for me to begin her “Wholehearted Living” course the following month. (www.wowwholehearted.com) . I worked with Alicia and another of her heart coaches, Tracy, through three courses. Each course was eight weeks long. I worked in a small group with other women who were on the same journey of “decluttering” their lives. When the courses were over, some of us were still hungry to learn more and we worked through supplemental spiritual materials with Alicia weekly, as a small group. I learned how to pray spontaneously speaking from my heart, a different way of praying then I had known before, and I felt comfortable leading the prayer in the group. I was trusting God more and more. As I traveled to Ithaca, He became the captain of the sailboat. I moved over to sit on deck with my face in the sunshine, and a warm breeze blowing on me as we sailed. He was now orchestrating my life, and I knew that He wouldn’t let me down. I was excited to see where He’d take me next and for the first time in my life, I didn’t have to fear or control my future.